Today is an important day in America. Sure, it’s the beginning of March, but that’s not what I’m referring to. No, I’m talking about the most important holiday of them all (and one that I’m pretty miffed about not having off): National Pig Day. This is a day where we get to truly appreciate the swine that make all of our lives a little bit better (and tastier if you’re into that). Before I get to my list of the best video games, there are a few caveats. We’re a PlayStation website, so it meant that pigs had to appear on a Sony console to qualify. That meant that some iconic hogs like Ganon from Legend of Zelda and Pigma from Star Fox weren’t eligible. Also, this isn’t a scientific list, just a matter of opinion. It’s National Pig Day after all, so just have some fun. 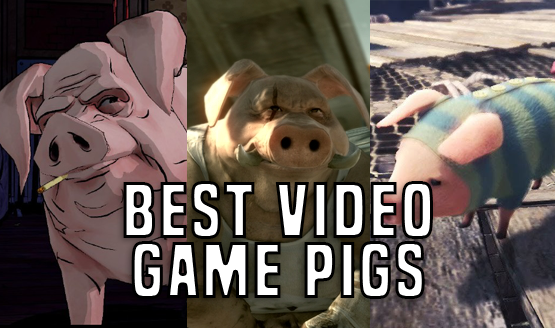 I hope you enjoyed my look at 10 of the best video game pigs. Did your favorite hog manage to make my list? There were a lot of four-legged piggies up for consideration, so it wasn’t easy to narrow down the list. So, if they didn’t make the final cut, it doesn’t mean they aren’t a fine piece of bacon. They just didn’t quite register for me. I’d love to hear what you think are the greatest video game pigs, so make sure to leave a comment below. Also, let us know how you’ll be celebrating the most important holiday of the year: National Pig Day!